The Super Saturday NRL results went all with the home teams with the Gold Coast Titans beating the Roosters 24-13, the Storm flogging the Knights 42-12 and the Cowboys continuing their wonderful season knocking over Manly 22-20 at Dairy Farmers. On a night where some wedding in the old dart, managed to take centre stage, the NRL trotted out some out their old classic, Friday Night Footy with the Broncos and Rabbits coming up trumps. The Broncos were never headed as they counted out the Bulldogs 20-12. The Broncos always looked in command, but the Bulldogs, mainly through Benny Barba, kept within striking distance, but never really threatening to spoil the Broncos at home. Matt Elliot, the coach sacked by his club the Penrith Panthers for 2012 during the week, appeared on The Footy Show last night and carried himself very well. In the light of the very public posturings about Elliot's future over the last couple of years, Elliot's response was class personified and he kept his own thoughts very private. The chance to unload was strong, but he chose not to and was dignified. His consistent message of personal accountability was very strong, and it is hoped that this man is not lost to our game. Publicly, everyone is aware that the Panthers are in a lean position financially and that strain on resources meant that Elliot did not have the luxuries that other coaches and clubs have. He was philosophical about that as well, and that he can only play the cards in front of him. He re-iterated his belief in his playing roster and focusingp forward, knows exactly what he must do for the current season. He expects still to be coaching in October this year.....This man is all class and I certainly take my hat off to him for the way in which he has conducted himself. I guess there might be a smug tipster out there who jagged the Gold Coast Suns’ win but I’ll bet they are few and far between. Some of the games could have gone either way and even the AFL says that the round was one of the closest in its history with results and the best for attendance. 170,000 at the MCG over 2 days of football certainly helped with those days being Anzac Day and the Tuesday extra day holiday. If folks weren’t going away for Easter then 4 days of football made for a great weekend. I’d also be putting some money on Good Friday being added to the fixtures next year. The commercialism of Easter is non-existent in China as is the feast of Easter, a fact I’m sure most of you are aware of. BRONCOS: Gerard Beale, Dale Copley, Jack Reed, Justin Hodges, Jharal Yow Yeh, Darren Lockyer (capt), Peter Wallace, Ben Hannant, Andrew McCullough, Dane Carlaw, Alex Glenn, Sam Thaiday, Corey Parker. Interchange: Mitchell Dodds, Josh McGuire, Nick Kenny, Ben Hunt. BULLDOGS: Ben Barba, Steve Turner, Josh Morris, Jamal Idris, Michael Lett, Kris Keating, Trent Hodkinson, Aiden Tolman, Michael Ennis, Mickey Paea, Frank Pritchard, Andrew Ryan (capt), David Stagg. Interchange: Greg Eastwood, Grant Milligan, Corey Payne, Dene Halatau. Referees: Gavin Badger, Adam Devcich. RABBITOHS: James Roberts, Nathan Merritt, Dylan Farrell, Greg Inglis, Chris McQueen, John Sutton, Chris Sandow, Ben Ross, Issac Luke, Roy Asotasi (capt), Dave Tyrrell, David Taylor, Michael Crocker. Interchange: Jason Clark, Shannan McPherson, Nathan Peats, Eddy Pettybourne. SHARKS: Isaac Gordon, Matthew Wright, Ben Pomeroy, Colin Best, John Williams, Wade Graham, Tim Smith, Kade Snowden, Paul Aiton, Luke Douglas, Jeremy Smith, Anthony Tupou, Paul Gallen. Interchange: Josh Cordoba, Broderick Wright, Stuart Flanagan, Jayson Bukuya. Referees: Tony Archer, Brett Suttor. The margin was a little closer than the Saints would have liked but they did enough in the last quarter to win the game. Valiant effort by the Lions in a game played in difficult conditions, humidity and slippery ball. Maybe this is enough to get the season on track for St Kilda. Clarke was the leading forward in the game kicking 4 for the Lions. Montagna had the most possessions assisted by Del Santo, while Adcock and Redden played well for Brisbane. The Saints play Adelaide next and Brisbane takes on the Tigers. The New Zealand Warriors have defeated the Melbourne Storm by 18-14. The Storm scored first, but it was the Warriors that were dominant from then on. The annual Anzac Day NRL clash between the Sydney Roosters and the St George Illawarra Dragons was an absolute classic, despite a scoreline of 24-10 to the Dragons, which made the game appear to be one- sided. The game was in the balance at 18-10, when Ben Creagh stole an intercept and ran 80m to seal the game. The first half saw the Dragons on the wrong end of the men in pink, as they uncharacteristic mistakes and gave away some contentious penalties, which kept the Roosters dominant in field position. Again, the Dragons defence was the key to the victory. Sunday saw wins for the Knights and the Eels. Both teams needed the wins against oppositions that were also desperate. The Knights played the Raiders, who have been the biggest disappointment of the season to date. The Raiders are bringing up the bottom of the table and the team tipped to be one the challengers for the Premiership are labelled as inconsistent and losing.The Knights nailed off the Raiders 22-12. The Gold Coast Titans gave up their game against the Parramatta Eels. Many will say that the Eels snatched an unlikley victory, but really, from where I was watching the Titans defence and errors were the over-riding factor. The Eels won with a try to Shane Shacleton in the final minute, but sustained pressure over the last ten minutes provided the platform for the final minute try. The Eels won 22-18. The North Queensland Cowboys continued their winning form with a dominant win over the Cronulla Sharks by 30 points to 12. The Cowboys have impressed with a stunning form reversal on last year, and the Sharks were expected to play well, considering the game was at their home ground. The Sharks have also lost their five-eight Albert Kelly with a broken leg, sustained when he was trying to prevent Gavin Cooper from scoring. Once again Cowboys Jonathon Thurston was outstanding. In the other Saturday Night game, the Rabbitohs continued their pale of woes, going down to the Bulldogs 36-24. They lost Sam Burgess last night with a suspected broken ankle and are likely to be without him for anywhere up to four months. The Brisbane Broncos continued their impressive 2011 season with a strong 31-18 victory over the Wests Tigers in front of a large crowd at the Sydney Football Stadium. The Broncos led 25-6 at half-time , but it was the Tigers that showed the fans about football, dominating to get back to 25-6. MANLY SEA EAGLES v PENRITH PANTHERS at Brookvale Oval, 7.35pm. SEA EAGLES: Brett Stewart, Michael Robertson, Jamie Lyon (capt), Steve Matai, Will Hopoate, Kieran Foran, Daly Cherry-Evans, Jason King (capt), Matt Ballin, Brent Kite, Anthony Watmough, Joe Galuvao, Glenn Stewart. Interchange: Tim Robinson, Jamie Buhrer, George Rose, Vic Mauro, Michael Oldfield, Tony Williams (two to be omitted). PANTHERS: Michael Gordon, David Simmons, Michael Jennings, Brad Tighe, Sandor Earl, Travis Burns, Luke Walsh, Tim Grant, Kevin Kingston, Petero Civoniceva, Trent Waterhouse, Nigel Plum, Sarafu Fatiaki. Interchange: Nafe Seluini, Sam McKendry, Timana Tahu, Matthew Bell, Yileen Gordon (one to be omitted). Referees: Jason Robinson, Phil Haines. TIGERS: Wade McKinnon, Beau Ryan, Blake Ayshford, Mitch Brown, Matt Utai, Benji Marshall, Tim Moltzen, Andrew Fifita, Robbie Farah, Keith Galloway, Simon Dwyer, Gareth Ellis, Chris Heighington. Interchange: Sean Meaney, Liam Fulton, Bryce Gibbs, Aaron Woods. BRONCOS: Gerard Beale, Dale Copley, Jack Reed, Justin Hodges, Jharal Yow Yeh, Darren Lockyer (capt), Peter Wallace, Ben Hannant, Andrew McCullough, Sam Thaiday, Alex Glenn, Matt Gillett, Corey Parker. Interchange: Mitchell Dodds, Dane Carlaw, Nick Kenny, Ben Hunt. At one stage early in the second quarter the Pies were 8 goals ahead and for some reason they allowed the Tigers right back into the game conceding 6 goals. It looked okay for Richmond until Collingwood applied their usual few minutes of pressure eventually winning the game easily by 71 points. The Tigers, although not happy with the end result, can gain some confidence in their third quarter when they outpaced and outplayed the Pies to get within 4 goals. But when a team gets close to Collingwood it seems like a sleeping giant is awoken and they play another class of footy for as long as it takes to snuff out a challenge. Swan had over 30 possessions and kicked 4 goals. I wonder who will get the Brownlow votes for the game. Collingwood meets Essendon on Anzac day and Richmond might register a win against North. The Dragons have won a dour Monday night Football game by 16-0 against arch-rivals the Souths Sydney Rabbitohs.The scoreline did not reflect the closeness of the game and the sheer defensive will of the Souths side, as they held the Dragons scoreless for 67 minutes, with the only points being a penalty goal from Jamie Soward. The turning point was a Matt Cooper special, holding up and turning around the efforts of Souths player Chris McQueen, who was just centimeters from touching down, until the strength of Coops not only stopped him, but turned him around and into an offload situation. The Dragons scored their first try through Darius Boyd in the 68th minute after great lead-up work from Matt Cooper, while Mark Gasnier sealed the game after two amazing offloads from Ben Creagh, the first leading to a scintillating break from Brett Morris, while the other gave Gaz the try. Souths fans would have plenty to cheer about, as their defensive effort was the best of the season. Some major blunders from Chris Sandow and Rhys Wesser contributed to their loss. Not sure if Sandow has the concentration levels, or the desire to play consistent top level NRL. The Melbourne Storm continued their impressive form run with an emphatic 25-10 victory over the Panthers. The Storm are certainly playing like a team that has something to prove, and while their big 3 have been impressive, it is the work of the under-rated players that is gaining notice. WOW!!! Saturday Night saw some consolidation of gains made this season by the Broncos and the Cowboys while the Manly side, just never give in. The Brisbane Broncos were impressive in defeating the Sydney Roosters in appalling conditions at Blue Tongue Stadium, Gosford. The scoreline of 24-6 was reflective of the game with the Roosters no match for the Dragons. The earlier game saw the Warriors fall to the Manly Sea Eagles by 20 points to 10. In a fiery Friday night clash, highlighted by a clash between Nathan Hindmarsh and Michael Ennes, the Bulldogs won out over an Eels outfit 34-14. Both teams were reduced to 11 players at one stage with four players in the sin-bin.Hindmarsh refused to shake Ennis's hand after the game and called him a grub post game. In another sensational incident, Jaryd Hayne has again called upon his head to do the talking, this time with a headbutt given to Corey Payne. Amazingly, he was given just ten minutes in the Sin-Bin, but it will obviously come under review. In the other game, the Titans came from behind to nail the Tigers 20-14. The Tigers led 14-0 and looked headed for an easy victory, until Scott Prince got into the game and slowly swung it the Titans way. While the weather starts cooling down in Australia in Northern China we are experiencing some welcome, warm days. 25 today, while completely unexpected as it was 5 last week with a wind chill of -3, was fantastic and people, like hibernating bears, emerged from their apartment blocks and took to the streets to shop at recently set up roadside stalls, play cards on street corners, mah-jong in apartment courtyards and exercise in the parks on state provided gymnasium equipment. 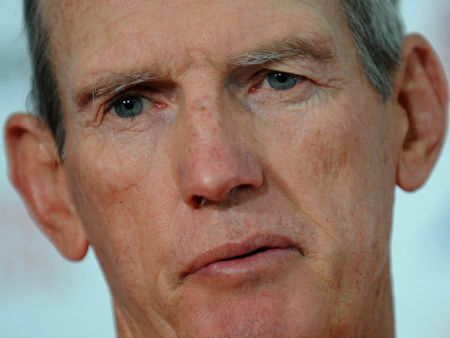 Wayne Bennett officially announced that he has signed a four year deal to coach at Newcastle from 2012. Bennett enjoyed considerable success at the Broncos, and this success at a privately owned club, combined with the vision of Nathan Tinkler, drew Bennett to the Knights. In doing so, he rejected the offer from Souths Sydney and their owner Russell Crowe. The Souths challenge was huge and ultimately many didn't see how Bennett could change the culture at Souths. 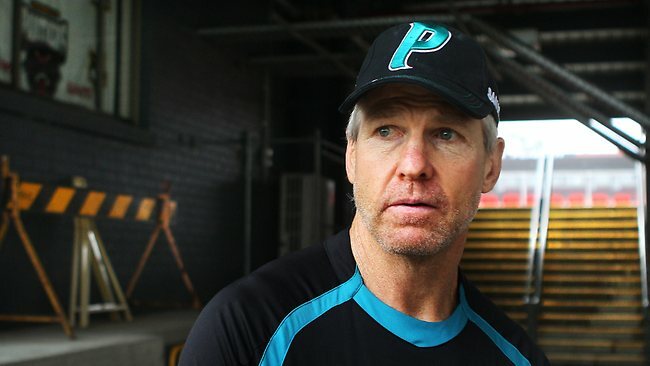 Dragons officials and players have also admitted their role in Bennetts decision, stating many times that he could expect a frosty relationship with the clubs in coming years, if he was to go to their arch rival. In other news, Jamal Idris, the Bulldogs sensation has announced that he will be joining the Gold Coast Titans from next year. EELS: Jarryd Hayne, Luke Burt, Joel Reddy, Jacob Loko, Jordan Atkins, Daniel Mortimer, Jeff Robson, Tim Mannah, Casey McGuire, Fuifui Moimoi, Nathan Hindmarsh (capt), Taniela Lasalo, Justin Horo. Interchange: Billy Rogers, Shane Shackleton, Mitchell Allgood, Carl Webb, Ben Smith (one to omitted). The scoreline read 17-6. The tries went four to one. Sounds like a dominating performance, but the losing side, the Newcastle Knights were unlucky as they attacked the Broncos line, time and time again in the second half to be denied by the video ref. The Broncos, in the end, deserved to win, and held onto their record of not letting in a second half try, but that was in some ways more due to obscured camera angles then their defence. For the Broncos, Gerard Beale was best on ground, followed by Alexx Glenn. For the Knights Cory Patterson was impressive and Kurt Gidley kept threatening to tear the game apart. The result was as expected by those that understand their footy and Carlton supporters will go away thinking their team did okay because they didn’t get rolled by 10 goals. Margin aside the result was still the same and Collingwood did enough to win the game in the second quarter. Centrelines probably broke even but the second tier Collingwood players were far too good. Shaw, Blair and O’Brien. A home and away record crowd turned up, some 88,000 plus, to see the Pies do what they do best lately – win. Funnily enough the coaches had opposite feelings to the result. Mick said he was unhappy and Ratten said he was happy? Go figure. The Pies face Richmond next week and Carlton have a tough one against a vastly improved Essendon a game at which you can expect another big crowd. The Parramatta Eels and the Canturbury Bulldogs were both belted today in Sunday NRL action. The Eels were smashed by the Melbourne Storm 38-0, as the Storm firm to Premiership favouritism. They certainly look to have a lot of the backbone behind Premiership sides, as they have structure and stardom in massive doses. The Storm are looking the goods. The reigning Premiers, the St George Illawarra Dragons, again strangled the life out of an opponent, defeating the Bulldogs 25-6 in a wet encounter at the historic SCG. The Dragons served up notice again, that teams will need to be on their game to compete with them. Matt Cooper scored twice for the Dragons, while the intercept try from Darius Boyd was the match turning incident, saving a certain try then running the length of the field to score. The Cronulla Sharks continued their impressive form in 2011, however were upstaged in the final minutes by a never say die Manly team, who won 19-13. 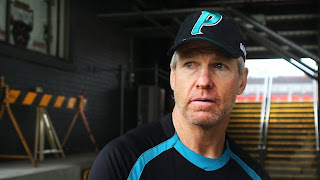 The Sharks, so often the " easi-beats" over the last couple of seasons have found real strength and commitment under Shane Flanagan, and while they lost tonight, will continue to be a major threat this year. The Warriors defeated the Roosters 24-12 and the rollorcoaster team of the NRL, the Penrith Panthers trounced the Canberra Raiders 36-10. The North Queensland Cowboys continued their impressive revival of form in 2011, with a dominant performance against their struggling Qld brothers, the Gold Coast Titans.The Cowboys were never headed in the game and the final score of 22-12 was closer through a last minute try to the Titans.The Cowboys Gavin Cooper was strong down the left side, and Jonathon Thurston was his usual creative best. In the other game, the inconsistent Rabbitohs fell to a Benji-inspired Wests Tigers outfit 30-6. The Rabbits scored first, and looked to be the team to beat. But once again, Benji cues the magic and the Tigers won easily in an entertaining game. THE NRMA Insurance Broncos today announce that Anthony Griffin has accepted an offer to be the club’s long-term coach and that negotiations with any other coach, including Wayne Bennett, have been completed. Griffin has accepted a two-year extension of his current contract, that will cover the 2012 and 2013 NRL seasons. Both teams undefeated sitting 1 and 2 on the ladder. It’s an AFL promoter’s dream. Blockbuster!! Unfortunately the dream will turn into a nightmare for Carlton. In round 18 last year the Pies at one stage of that game were 12 goals ahead and went on, easing up, to win by 8 goals plus. What has changed since then? Swan and Judd, Pendlebury and Murphy, O’Brien and Gibbs. For every Carlton champion player there is an equivalent Collingwood player. So when you look at the next rung we can continue to name Collingwood players but not their equal Carlton player. Assuming the champs nullify each other in that they are as effective as each other then there seems to be more Magpies on that next level that will help them win this game. Cowboys: Matthew Bowen, Ashley Graham, Will Tupou, Willie Tonga, Kalifa Faifai Loa, Ray Thompson, Johnathan Thurston, Matthew Scott, Aaron Payne, James Tamou, Gavin Cooper, Glenn Hall, Dallas Johnson. Interchange (from): James Segeyaro, Leeson Ah Mau, Tariq Sims, Ashton Sims, Scott Bolton, Antonio Winterstein. The Melbourne Storm bounced back from their disappointing defeat from the Cowboys, to record a 30-16 victory over the previously unbeaten Bulldogs. A couple of late Doggie tries brought the scoreline into some respectability, but in all cases were beaten easily by a well-drilled Storm team. Week 4 of the NRL 2011, and there are no unbeaten teams, just as their are no teams waiting for their first win. This competition is very even, and as is being seen everyday, each team must show up ready to play. The Saints on fire in the first quarter with Gram and Fisher getting plenty of the ball. Deledio, Grigg and Crotchin best for Richmond. Jack Reiwoldt has been knocked out in the first quarter but they won’t substitute him. Milne has kicked almost half the Saints score. The Saints 14 points up at the end of the quarter. The Tigers started the second with a quick goal so the margin is down to 8 points. It’s a substitute confusion – Jack is not going to be substituted but Richmond seems to be doing okay without him. Other Sunday Results. Warriors won over the Sharks 26-18 in a tight game at Owen Delaney Park. Sydney Roosters won out over the Wests Tigers 24-6 in the main Channel Nine Sunday Game. The St George Illawarra Dragons, were a team of two dimensions in their 20-18 victory over the Newcastle Knights.In the first half, the Dragons were struggling to build pressure which is the norm for the Dragons as they grind teams down. What we saw this weekend, is when the team realised they were struggling, was to throw the ball around and really put the points on. On song, the ran out a 14-0, which was diminished slightly when the Knights scored in the final minutes prior to half-time to bring the half time score to 14-6. The second half saw the Dragons defend for must of it. The Dragons scored first to put some points between, but the Knight being the team they are, from the town they come from, just never gave up. The Knights brought it back to 2 points, with plenty of time to win it, but the Dragons defence held out for the reigning Premiers to notch another win. Two excellent thrillers played out on Saturday Night NRL, chapter 4. The Titans went to the Nation's capital and faced off against the Canberra Raiders. With a horrible history, the Titans were long shots for the win, and looked out in the final minutes trailing 22-16. But Fatal errors from the Raiders, in the final minute, created the game going to golden point with a converted try to the Titans coming from the error. A Greg Bird field goal, in Golden Point gave the Titans their first win 23-22, for 2011. In what some are describing as the best game of the year, the South Sydney Rabbitohs had to endure watching Manly miss a last minute goal attempt, to defeat them 32-30. The nail-biting conclusion to the game typified the game as a whole and Souths look forward to an ongoing better season.